Green New Deal – The New Wave in US Politics? Three new Congressmembers have been steadfast supporters of GND-style policy. First, leading the charge is Alexandria Ocasio-Cortez of New York City who shocked the Democratic establishment by unseating Joe Crowley, one of the Party’s most powerful politicians, in the 2018 primary election. Second, Rashida Tlaib from Michigan was the first Muslim woman elected to Congress. She has been an outspoken critic of the fossil fuel industry in Michigan and a vocal proponent of economic justice and climate change mitigation. She’s also one of the new progressive Representatives who’s a member of Democratic Socialists of America. Third, Deb Haaland of New Mexico, too, has been outspoken on the urgency of addressing ecological collapse. As I wrote before the election, Haaland was one of only a small handful of progressives to make climate and energy transition her top priorities. She was one of the first two Native American women ever elected to Congress. This small group of women of color has been among the most effective in promoting radical new platforms, with the Green New Deal idea unifying them all. The story of Green New Deal burst onto the scene when activists associated with The Sunrise Movement and Justice Democrats occupied the office of the ranking Democrat in the House, Representative Pelosi, a few days after the elections. This would not have been as much of a story if Representative-elect Ocasio-Cortez hadn’t joined the activists. Ocasio-Cortez’s star power notwithstanding, her presence made the occupation such a major story because, up to that point, no one in the federal government had ever before so publicly sided with climate activists in the halls of power. For the first time, a Congressmember was willing to risk her own neck by supporting protesters occupying a more senior official’s office. While she has received criticism from establishment Democrats, her show of courageous leadership was desperately needed to revitalize both the climate movement and the Democratic Party. Dozens of Representatives (and counting) have joined Ocasio-Cortez and climate activists in demanding that Congress prioritize Green New Deal legislation. While the GND is not particularly new, this is the first time the US has seen momentum within Congress to support a policy that is commensurate with climate science and ambitiously seeks to right the economic wrongs that have run rampant in the US. While the House of Representatives passed cap-and-trade legislation at the beginning of Obama’s administration, the bill died with the Senate. Even if it had passed, it’s unclear whether it would have had any significant impact in reducing emissions. Like much of the climate goals of the past ten years, cap-and-trade was weak, technocratic policy. Not only was it less capable of decarbonizing the economy than a Green New Deal, critically, it failed to inspire any enthusiasm among voters or activists. The GND has an opportunity not only to rally support among climate hawks, but to inspire all the myriad Americans who have been harmed by economic austerity and capital concentration (43% of Americans can’t afford basic necessities at any given time). This kind of intersectional, holistic policy is exactly what’s needed both to undertake the massive task of decarbonizing the economy and inspiring voters, activists, and politicians to support it. Currently, the greatest obstacle to continuing to build momentum has been Democrats funded by fossil fuel interests. Fossil fuel-funded politicians have long shown an unwillingness to support big, paradigmatic legislation like the GND. It seems likely at this moment that passing anything like a GND will depend on a Democratic president who is willing to support radical legislation, like FDR was. A timid, centrist Democrat who is committed to over-compromising with Republicans, like Obama and Clinton did, and committed to expanding fossil fuel use, will be unable or unwilling to pass the radical legislation necessary to avert climate and civilizational collapse. A Republican president winning in 2020—likely Trump—will almost certainly be unwilling to support any climate legislation, much less an economically just kind. Much of the US ability to change course will depend on the 2020 election. But for the moment, there’s some reason to be optimistic. Bolstered by a newly energized grassroots climate movement—represented by groups like Sunrise Movement, Climate Mobilization, and Extinction Rebellion—this growing coalition of Representatives could be well-positioned to influence the course of the party and policy leading up to 2020 and beyond. Activists and politicians like Ocasio-Cortez are seeking to position themselves now to control the agenda during the coming presidential election and the agenda of a Democratic president, should one be elected. But mitigating climate change—which entails fundamentally shifting the entire global economy in about a decade—will require ambitious legislation like a GND implemented not just in the United States, but all over the world. If GND-style politics can take the center stage, there’s reason to believe it could—like the New Deal before it—usher in a decades-long paradigm of progressive legislation. It could dominate the policy agenda for half a century or more in every country in which it’s implemented. Of course, it also might not happen. The left might continue to embrace weak centrism and the same neoliberal policies of the past forty years, which have induced the rise of right-wing populist movements. As the 2020 presidential campaign season starts to ramp up in the US, the most important quality for any leftist politician hoping to occupy the White House—or 10 Downing Street or any other seat of authority, for that matter—should be wholehearted support for Green New Deal type policies. The possibility to achieve lives worth living, and justice and equality, truly depends on it. 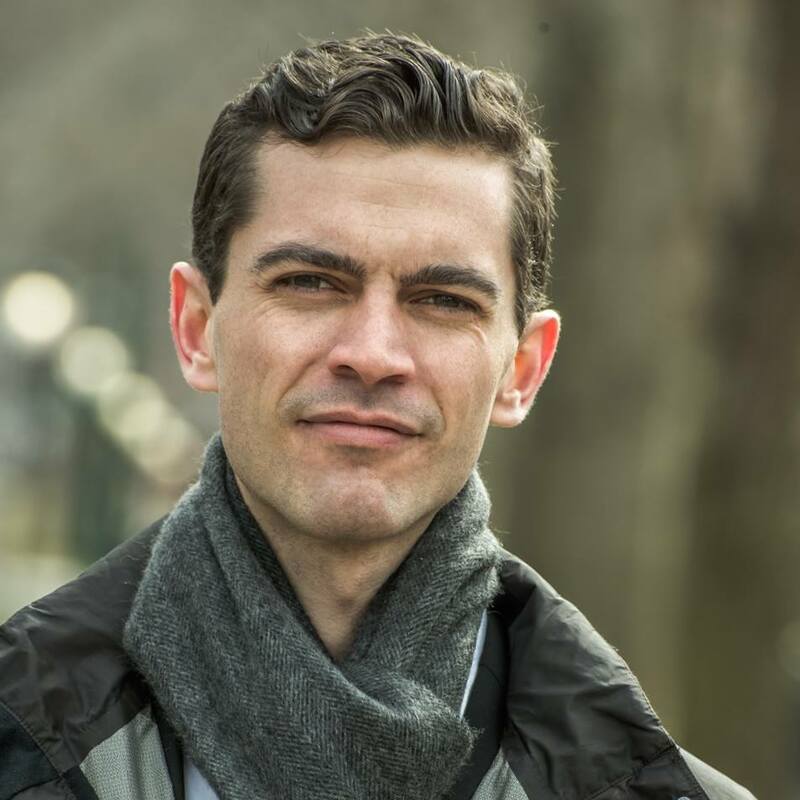 Born and raised in Northern Michigan, Samuel Miller McDonald is a writer and doctoral candidate in political geography and energy transition at University of Oxford. His writing can be found here. His tweets here.